BUDDHA PEDESTAL WATER FOUNTAIN home decor, jewelry, decor, decorations, electronics, fountains, floor mats, art glass, vases, garden essentials, fireplace screens. This water fountain blends classic style with peaceful zen. 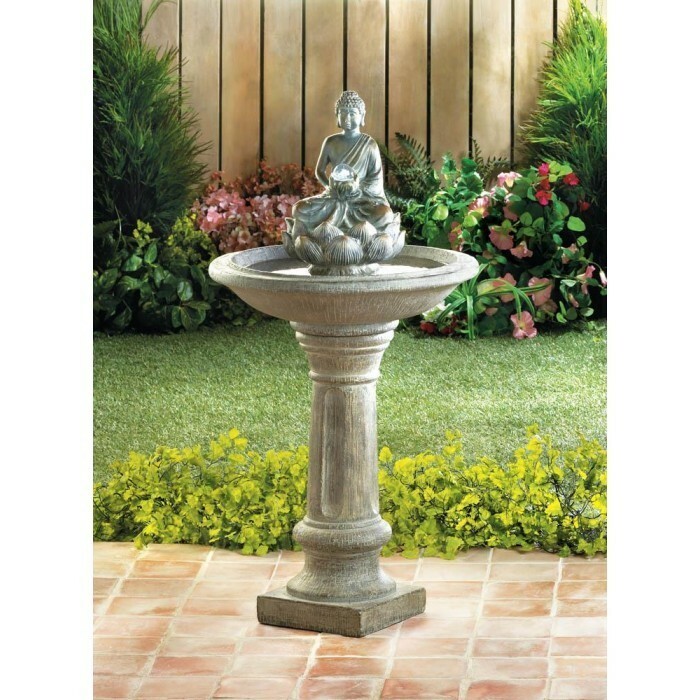 The classic pedestal base and water basin holds a beautiful Buddha figure in a meditative pose, as he sits in a lotus flower and holds a glass orb. The ball lights up with help from a single LED light. RESIN STONE POWDER SAND GLASS LED LIGHT. Weight 16 pounds. Dimensions 16" x 16" x 30".